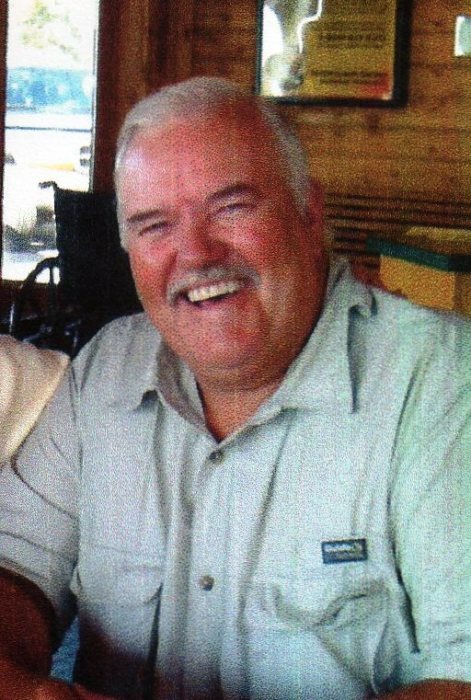 Funeral services for Don Eklund of Warroad, MN will be held on Sunday, January 20, 2019 at 2 PM at Woodland Bible Church in Warroad. Visitation will be one hour prior at the church. Interment will be at America Cemetery at a later date. Don passed away on Tuesday, January 15, 2019 at the age of 71 at his home. Don Charles Eklund was born on March 24, 1947 to Clarence & TommyEtta (Rouse) Eklund in Roseau, MN. He grew up on his family's farm in Falun Township. He attended grade school at the Malung School, then went to the school in Roseau, and graduated from Roseau High School in 1965. After graduation, Don attended Dunwoody Baking School in Minneapolis while working for Osmundson's Pizza. Don then moved to International Falls and worked at Pearson's Bakery. Sometimes he would drive up to Warroad and work at the Tip Top Bakery. It was there that he met Cookie who also worked at the bakery. They were married on December 28, 1968 in the Zion Lutheran Church in Warroad. They lived in International Falls for 9 months and then decided to move back to the Warroad area to farm. So, in 1969 Don began farming with his father-in-law Harold, while working at Marvin Windows. In 1980, the new barn was built at Don and Cookie's farm. Don then stopped working at Marvins. Don milked cows until May of 2004, and then grain farmed until 2017, when the breathing just got too difficult to be able to continue. Don loved to hunt whitetail deer and fish for walleyes and sturgeon. He had a couple of hunting buddies and many fishing buddies that were near and dear to him. And he loved his cows. He didn't miss the work when they went down the road but he sure did miss their personalities. Don has served on the Moranville Township Board for 30 plus years, most of the time as chairman. Don attended many churches in his days. He was on the Zion Lutheran Church board for 12 years. Don helped start and build the Warroad Free Lutheran Church and served on its board for some years. During this time he also helped start the Pine Ridge Christian School. Don also attended the Pitt Community Church where he was one of the worship leaders, and even did a few of the sermons when needed. He made many special friends down there. When his health was failing, he attended his old home church, Bethel Covenant, which is now Immanuel Baptist Church. When he was unable to leave home, he watched many hours of preaching and church services on television. Don had it as a goal to live long enough to see his 50th wedding anniversary and he made it. His next goal was to live to Kim's birthday and he made that too. The next day he passed on to live in his eternal home.